Three 24-hour Workshops through 2019. Various payment options available. See the downloadable brochure below. Convinced the workplace matters to God and that he has called you there? Looking to grow as a leader and as a Christian disciple at work? 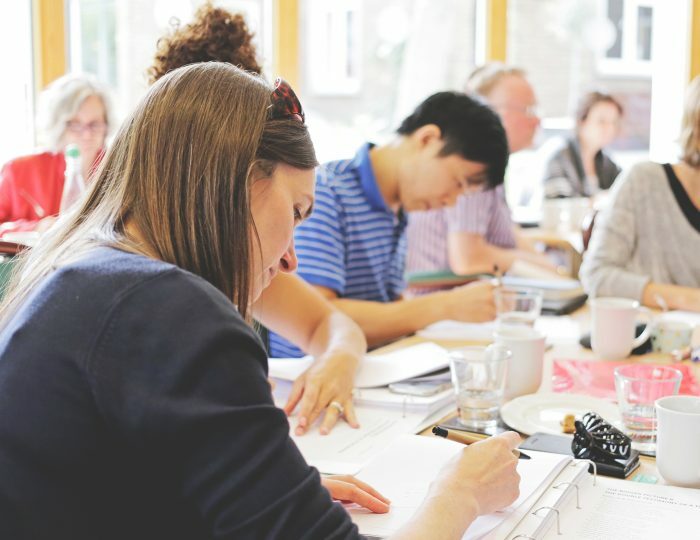 Executive Toolbox is an innovative programme of three 24-hour workshops that will inspire, equip and support you towards greater influence and impact, whatever your sector. Designed for women and men in mid to senior level executive roles, Executive Toolbox is structured around three modules which run over a period of six months. Led by an experienced training team, the course combines teaching with case studies, worship, prayer and accountability triplets. For more detailed course information download this brochure for 2019. A typical cohort includes managers and directors, business owners and leaders, head teachers, and heads of department in public service among many others. Watch the video to see what alumni are saying. The course has been running in London since 2011, and also ran in Edinburgh in 2017.